"Sebastian Prendergast lives with his eccentric grandmother in a geodesic dome. His homeschooling has taught him much-but he's learned little about girls, junk food, or loud, angry music. 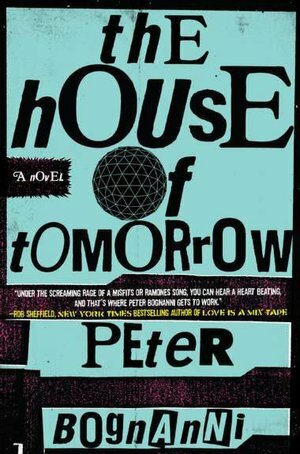 We, four students in the Western Illinois University English Education program, suggest The House of Tomorrow should be taught in an eleventh grade English course. The four week unit will focus on Young Adult Literature, technology, and character analysis. Students will explore character development and infer character actions and interactions. Students will use a variety of critical lenses when interpreting literature. Students will use authentic activities when analyzing themes. Students will use writing to express a synthesis of ideas and defend an argument about character, setting, or theme. CC.11-12.R.1. : Cite strong and thorough textual evidence to support analysis of what the text says explicitly as well as inferences drawn from the text, including determining where the text leaves matters uncertain. CC.11-12.R.2. : Determine two or more themes or central ideas of a text and analyze their development over the course of the text, including how they interact and build on one another to produce a complex account; provide an objective summary of the text. CC.11-12.R.3. : Analyze the impact of the author's choices regarding how to develop and relate elements of a story or drama (e.g., where a story is set, how the action is ordered, how the characters are introduced and developed). CC.11-12.R.4. : Determine the meaning of words and phrases as they are used in the text, including figurative and connotative meanings; analyze the impact of specific word choices on meaning and tone, including words with multiple meanings or language that is particularly fresh, engaging, or beautiful. CC.11-12.W.3. : Write narratives to develop real or imagined experiences or events using effective technique, well-chosen details, and well-structured event sequences.